Modern used to come under fire in its early days for how focused its decks were. The format’s many linear decks gave onlookers and format dabblers the impression that Modern was but a mess of such decks “passing in the night,” like “two ships.” But focus isn’t everything, and dilution has its merits. As perception of the format has shifted to become more positive, so to have players discovered savvier tech choices with which to give their decks multiple angles of attack. Today’s Modern Top 5 articles goes over what I consider the best options for players looking to add a new dimension of fair play to their decks, linear or otherwise. Some weeks ago, I penned a piece on Tarmogoyf‘s fall from grace. Also in the aforementioned period of anti-Modern sentiment, Fatal Push was but a seed in some malicious designer’s head, and not a format-defining staple. Tarmogoyf was therefore splashed into plenty of strategies as a fair Plan B, or additional angle of attack. For instance, decks looking to combat Infect with damage-based removal and sweepers could do little in the face of a Tarmogoyf, making the card a sweet pick for the Infect sideboard. With Push keeping Goyf under control for the last year, swaths of other sideboard fair plans have emerged as real, ingenious contenders. The plans in this article exist as one-card options for decks looking to attack opponents from an angle they might not have prepared for between games, and one that has little if anything to do with their primary gameplan. To keep things cohesive, we’ll focus only on fair plans, leaving stuff like Madcap Experiment/Platinum Emperion for another day. Interestingly enough, many of the following “fair plans” end up being employed by unfair decks, since sideboarding to beat a linear combo strategy can leave players at the mercy of good ol’ beatdown. Unlike the other entries in my Modern Top 5 series, this one doesn’t provide metrics on which to judge each featured card. As such, the pick order is a bit up in the air. The cards are sorted subjectively, on gut reaction, and their order here is by no means set in stone. With that out of the way, let’s get started! Young Pyromancer may well be one of Modern’s most divisive creatures. The UR fanboys who play him, love him; other Delver aficionados have consistently decried the card as “garbage.” Outside of some brief experiments with Day’s Undoing and Dark Confidant, I’ve never been too keen on the Shaman myself. Pyromancer always seemed far better suited to older, stronger formats like Legacy and Vintage, where its drawback of dying to Lightning Bolt at a parity loss is greatly mitigated: cheap, unconditional removal is less plentiful in those formats, since the ubiquitous combo decks ignore it, and the combination of fast mana and free spells enable faster, stickier 2/1s. But that was then. One might think the printing of Fatal Push would have nudged Pyromancer even deeper into the shadows. In fact, the ensuing metagame shifts have led players to discover an ideal role for red’s supposed fabled two-drop: a post-board fair plan. This UR Breach deck looks to cheese wins with Blood Moon and Through the Breach, cards opponents are unlikely to have answers for before siding. Young Pyromancer allows it to transition into a fair deck, playing a reactive tempo game with Snapcaster Mage and Lightning Bolt. Opponents are likely to drop some removal against this combo deck, but all the Dispels and Surgical Extractions in the world won’t beat an army of Elementals. Cantrip-heavy decks are great at mixing things up for games two and three, since their very core helps pilots find the right cards at the right time. They also naturally align with Pyromancer. It’s no wonder we’ve seen the same plan in Grixis Shadow sideboards and even out of Jeskai Tempo. All that said, there’s a reason Pyromancer’s never seen in the Storm sideboard. Opponents are in fact very likely to bring in damage-based sweepers for this matchup thanks to Empty the Warrens, and Pyromancer’s vulnerable to the same kind of hate. This Standard-defining fatty’s first big Modern break came with a 2015 SCG Open finish by Gerard Fabiano, who took down the tournament with a head-turning Sultai Rock deck. Next, the card was played by Amulet Bloom until that deck’s inevitable banning. Since then, surely to Gerard’s chagrin, Thragtusk‘s unfair legacy has continued; the card is featured primarily in big mana strategies as a way to brute-force through disruption à la Eldrazi Tron, as in Rodrigo Togores’s winning list from GP Madrid last month. Besides Valakut, Gx Tron is Thragtusk‘s main employer. Tusk doesn’t just check the value and body boxes, it gains life, giving it added utility in aggressive matchups—in other words, the matchups big mana decks play catch-up against once they’ve got their mana online. Few and far between are the fair decks that can shell out five mana for a fatty, especially since enormous creatures come at unthinkably low CMCs these days. But anyone with a midgame predisposition and in search of a fair plan has Thragtusk as a juicy option. Tireless Tracker attacks opponents on one of the game’s most fundamental levels: card advantage. Bolt’s gentle decline in popularity aids the Scout further, and Tracker slots right into most green decks running fetchlands as a result. Tracker into fetch and crack, even assuming the creature trades with a kill spell the following turn, nets two cards. And unchecked, there’s no telling how much havoc Tracker can cause—it even grows in size! The creature’s also generic enough that it doesn’t have to be played in a fetch-heavy deck to excel at its job. Humans runs only three fetchlands, but still makes room for a pair of Trackers to combat the removal-heavy midrange decks bound to hassle a synergy-based aggro strategy. The card has also become a mainstay in RG Valakut, Counters Company, and even off-the-wall stuff like Amulet Titan. As a plan, Death’s Shadow isn’t the easiest to fit into a given deck. It’s not that the cards themselves are bad, but that the package takes up a whopping 12 slots (4 Shadow, 4 Street Wraith, 4 Thoughtseize), which many decks cannot afford. That said, Thoughtseize is one of Modern’s most powerful disruptive spells, so including Wraith is the real “cost” of splashing Shadow. Shadow still ranks so high on our list because it’s simply so much better than other fair plans in Modern. I’ve come around by now on the idea that a good deal of the format’s midrange decks improve with Shadow in the mix—the marginal benefit of added robustness rarely makes up for the huge boosts in proactivity and reversibility Shadow affords, which explains why we’ve seen Shadowless BGx decks take such a representation dive since the Avatar was discovered. I agree with the sentiment that Shadow’s underplayed in Modern for how powerful it is, and would take the notion a step further and suggest it’s even underplayed as a Plan B. Black midrange or attrition decks struggling against aggressive strategies might do well to forget about Street Wraith and play Shadow in the sideboard for some help there, so long as they’re otherwise proactive enough to take on linear combo decks. What deck checks all those boxes? Honestly, I’m more interested in splashing Shadow into decks with an established gameplan as an alternate Plan A, as I did last week in Mardu Shadow (a spin on Mardu Reveler). But I’m sure the card’s full potential remains untapped at this point. Let’s not forget about Hiroaki Taniguchi teching a Shadow in his GP Kobe Counters Company sideboard—that’s the kind of innovation I’m excited to see Shadow make possible this year. I doubt this pick surprises too many readers. Souls is ridiculous against spot removal, making it an obvious consideration for decks in black and white that are otherwise soft to spot removal. Or to counterspells. Or to fliers. Or to decks that don’t beat fliers. It turns out a few decks fall into these categories, including Esper Goryo’s and certain builds of Jeskai Control. But Delirium Shadow best embodies the Souls-Plan-B ethos. All that deck runs to accommodate Souls is a Godless Shrine in the sideboard. 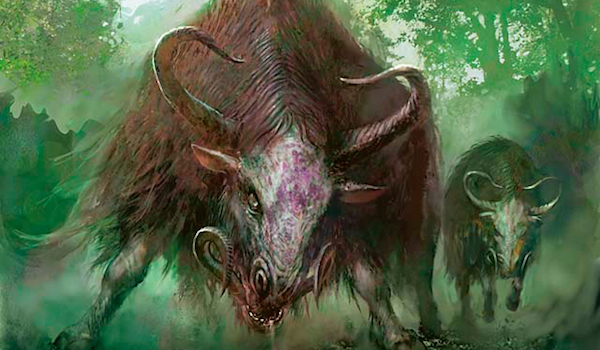 At last weekend’s Open, Dylan Donegan wondered why Grixis Shadow couldn’t do the same. I wonder if this development will inspire non-Shadow decks to start running Souls in their sideboards, even if they’re off by a color. Perhaps that single off-color shock isn’t such a steep price to pay if it means unhindered access to Modern’s best token generator. Plan B’s are an important part of Magic, and a crucial component of Modern. It only makes sense that the most dynamic constructed format would have so much divergence and diversity among tech options, even within single archetypes. What’s your favorite angle to attack from? Have I missed any reliable fair plans? Let me know in the comments.